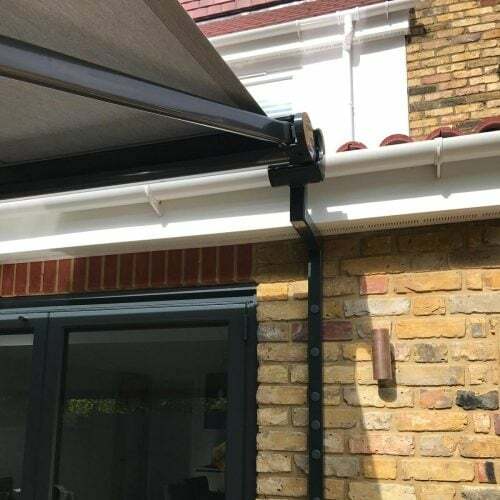 Here we had to manufacture special brackets to allow us to raise the awning above the door line. 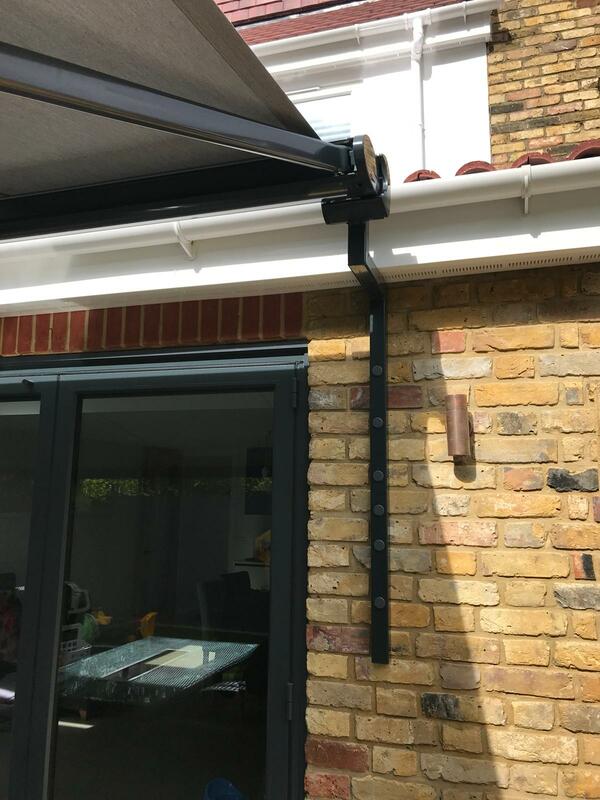 As there was not much height we advised on an end fixed awning from Weinor, allowing us to install the brackets either side of the doors. There are hundreds of different fabrics to choose from and also the framework comes in over 50 standard colours. 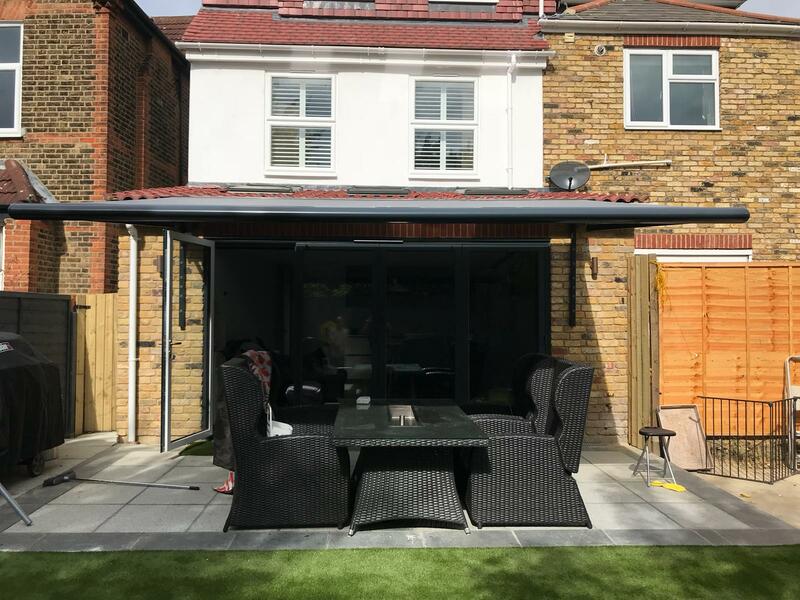 This awning is motorised which allows the customer to control it by a wireless remote control. 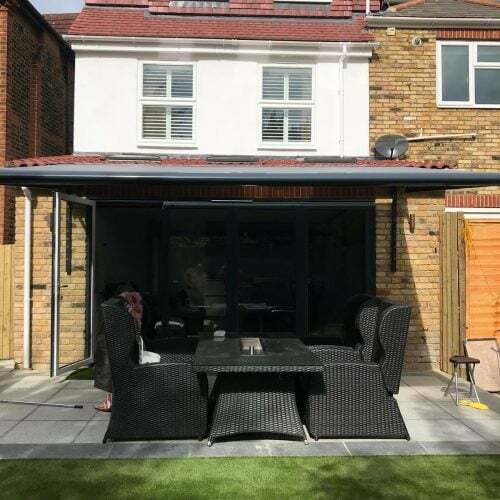 Get in touch if you have a similar situation and require shading solutions.